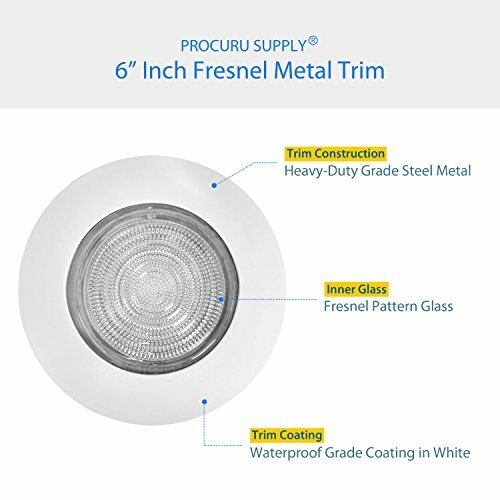 PROCURU 6" Fresnel Shower Trim creates a elegant, clean finish look on ceiling and protects interior of the housing dry and rust free. 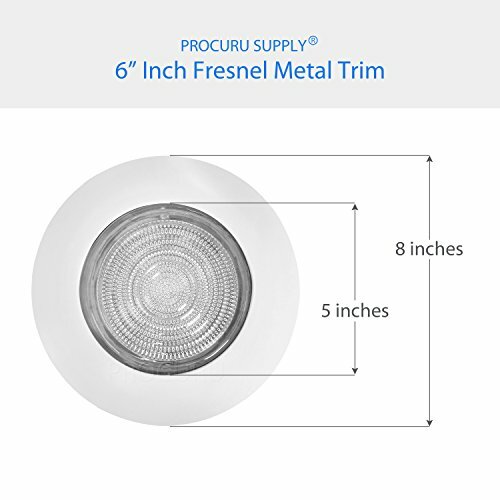 Trim made of Heavy-Duty steel metal with pure white finish. Trim, mounting clips, spongy cushion included. 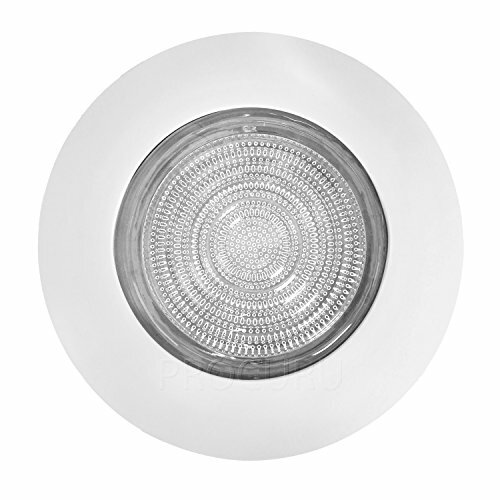 Works with housing cans of various brands including Halo, Elco, Nora, Elite, Juno, DMF, Commercial Electric. 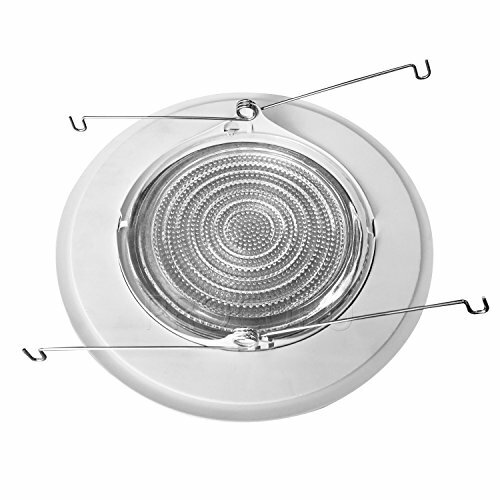 Includes free air-tight sealing gasket. Pack of 1 per order. 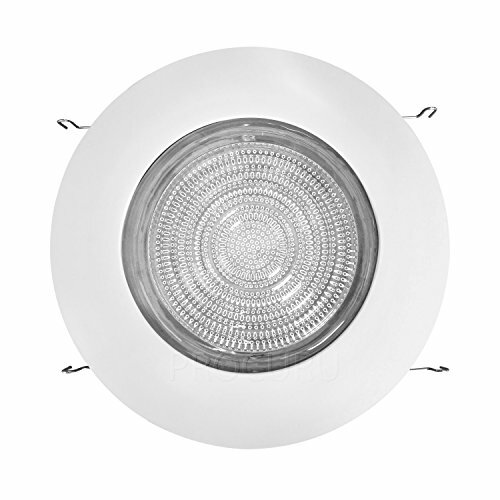 Fits on 6" fixture housing cans; Outer Diameter (around trim): 8", Inner Diameter (Around Glass): 5"